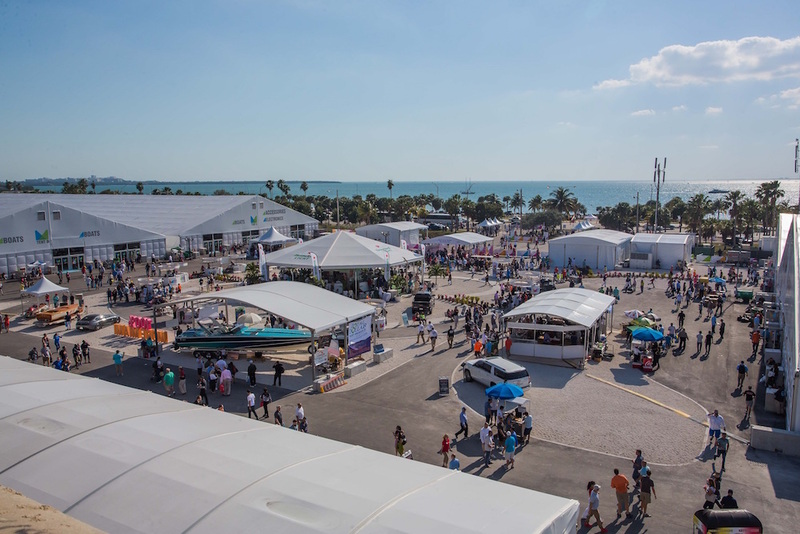 Honda, Mercury and Yamaha used the 2018 Miami Boat Show to introduce new models and features to its outboard motor lines. 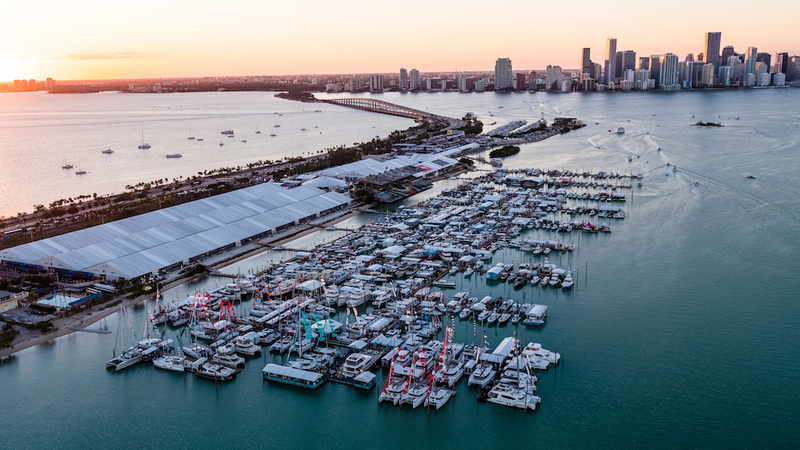 Here’s a round-up of outboard power news from Mercury Marine, Honda Marine and Yamaha Outboards released at the 2018 Miami International Boat Show. 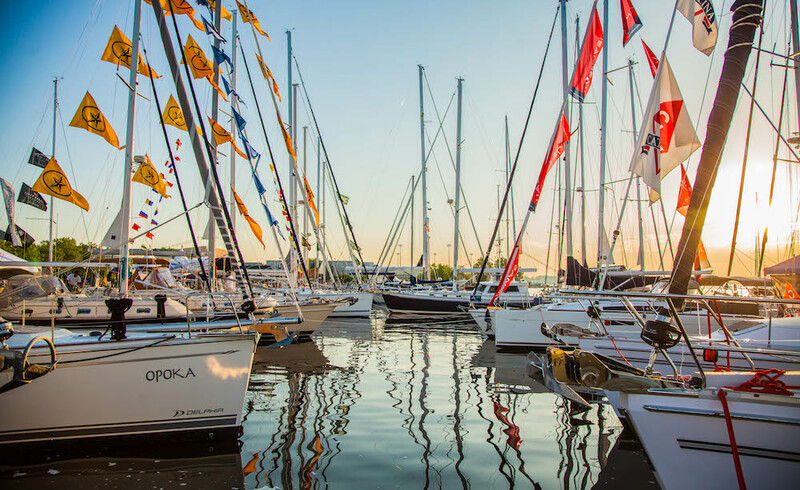 Honda Marine debuted redesigned, improved BF200, BF225 and BF250 V6 outboard motors at the 2018 Miami International Boat Show. Honda Marine previewed its refreshed V-6 BF200/225/250 outboards, which will reach dealers and boat builders in the fourth quarter of 2018. These motors offer stunning new styling, clearly derivative of the Honda Wing Blade concept motor displayed at Miami in 2017. Each offers an all-new cowl design and improved corrosion resistance. In addition, the BF200 and BF225 models get a performance boost from 109cc of added displacement; each model now features the 3.6-liter V-6 powerhead that previously has only been used on the flagship BF250. Honda says the 3.6-liter engine delivers a five percent increase at peak torque on the BF200 and a seven percent increase at peak torque on the BF225 plus both engines produce more horsepower and torque in the meat of the operating range, from 4000 to 5500 rpm. Finally, the bigger powerhead comes with a gear ratio change from 1.86 to 2.00 in a larger, more-durable gearcase. 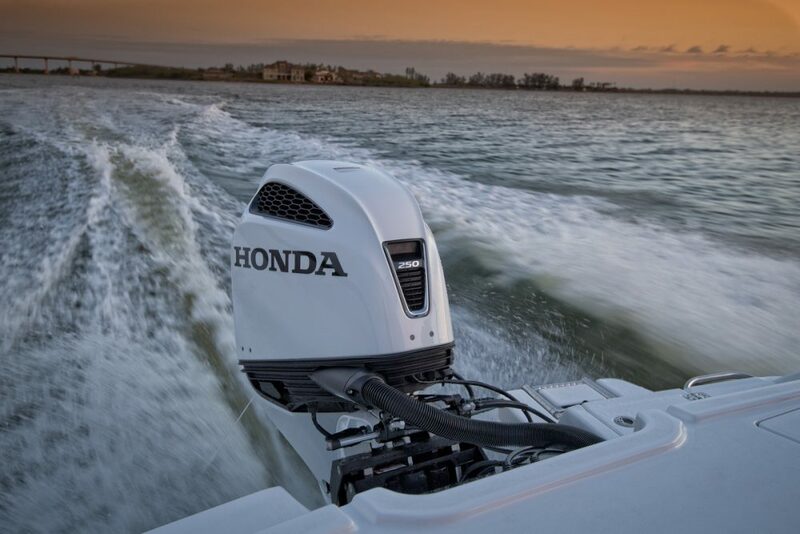 All three outboards debut the new Honda “Progressive V Form” styling with aerodynamic lines, a V-shaped center grille on the front of the cowl and honeycomb vent grilles on the upper cowl sides. The cowls are equipped with a three-latch lock and seal system and two inverted grip points that make the cover easy to remove and carry. The new cowl incorporates a dual channel, indirect-air-circuit induction system that improves airflow while helping funnel moisture away from the throttle body. The undercase design has been streamlined to incorporate three pieces (instead of seven on the previous model), along with a heavy protective rubber edge at the base of the cowling. Corrosion resistance is improved with a new coating on the surface of engine hardware that utilizes a chemically treated, zinc-nickel plating with a high corrosion-resistant top coat. In addition, components including the oil pan, thermostat cover, upper mount cover, and prop shaft holder use a higher corrosion-resistant material, resulting in a more durable engine and gear case. Finally, the number of anodes on each engine’s V bank has been increased from two to four. Routine maintenance time is reduced courtesy of a larger diameter dipstick tube, the integration of a water separator and fuel strainer and relocation of the high-pressure fuel filter for easier access. Honda says the time required to change the high-pressure fuel filter is reduced to five minutes from 60 minutes on the previous V-6 models. Familiar Honda technology features are shared across this platform. The BF225 and BF250 feature Variable Valve Timing and Lift Electronic Control (VTEC®) for a broader powerband. All three outboard models feature microprocessor-controlled Programmed Fuel Injection (PGM-FI), the Boosted Low Speed Torque (BLAST™) System that advances ignition timing for improved hole-shot, and Lean Burn Control that automatically adjusts the air/fuel mixture according to speed and load for improved fuel efficiency at cruising speeds. Rigging options are expanded to include digital top-mount binnacle or side-mount controls for mechanical and Intelligent Throttle and Shift (iST) engines. The iST models offer a one-press, push-button start and includes a theft-deterrent immobilizer ignition system that requires a remote transponder key to start the engine. The mechanical-control models offer a key start only. The Honda BF200, BF225 and BF250 outboard motors are available with a 20-, 25- or 30-inch shaft and counter-rotation is available for the 25 and 30-inch models. Each is covered by a five-year, non-declining warranty, and each is available in Honda’s standard Aquamarine Silver or optional Grand Prix White. Mercury Marine has released a new mid-size performance outboard, the 150 Pro XS, focused on improvements for freshwater anglers, bay boats and pontoons. 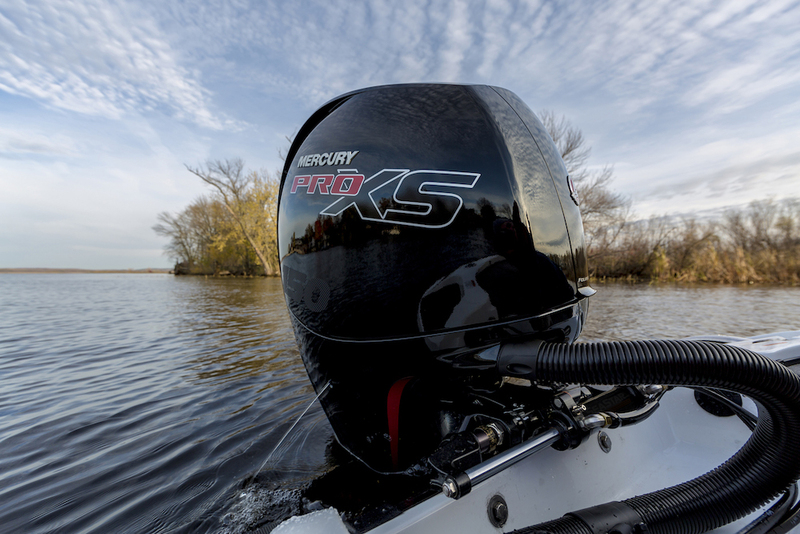 Mercury has given its 3.0-liter V-6 the Pro XS treatment to create the new 150 Pro XS, a mid-size performance outboard aimed at freshwater anglers, bay boats and pontoons. It uses the same 3.0-liter four-cylinder powerhead as the 150 FourStroke model but features a revised engine calibration and a performance gearcase. A 5200-6000 wide-open throttle rpm range (compared to 5000-5800 for the 150 FourStroke) permits the use of a wider selection of prop pitches, so the motor can prop for hole-shot or for top speed. New Transient Spark technology optimizes spark timing to boost torque during acceleration. The gear ratio is lowered from 1.92:1 to 2.08:1, which should allow the motor to swing a little more prop pitch and still deliver good hole-shot. In addition to the standard water pickups on the side of the gearcase, this engine also features four extra water pickups on the nose of the gearcase torpedo. This provides greater flexibility to mount the engine higher, install a jack plate, or trim the engine more aggressively while running, allowing boat owners to optimize performance without sacrificing water flow for engine cooling. Like other Pro XS models the new 150 is fitted with stiffer-than-standard motor mounts to help the motor track true at high speeds and trim angles. A best-in-class 60-amp alternator will be appreciate on boats running power-sucking electronics, lights, aerator pumps and audio systems. 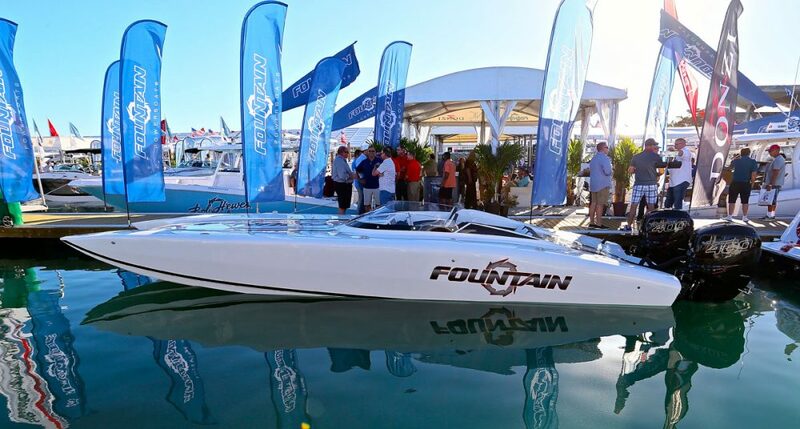 The new Idle Charge low-voltage battery-management strategy detect low battery voltage and automatically boosts idle speed and alternator output to recharge boat batteries to the proper level. The Pro XS is styled to look like the Pro XS outboards that have rule the pro bass and walleye angling circuits. 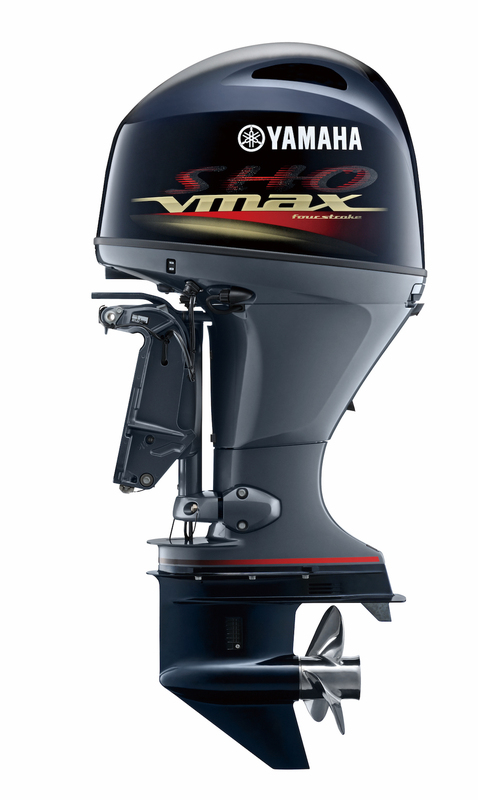 Another announcement in the mid-range outboard category was Yamaha's VMAX SHO 90, with a higher numerical gear ratio. Yamaha adds a mid-range outboard to its performance line with the introduction of the VMAX SHO 90. This little hot rod uses the same 1.8-liter single over-head cam, in-line four-cylinder powerhead as the F90B model, but swaps the a 2.15:1 gear ratio for 2.33:1 cogs and gets specific mapping in the electronic control unit (ECU). Yamaha says the new ECM map changes spark timing and fuel delivery, which can significantly alter the torque curve and thus the ultimate performance of the motor. The RPM range, however, is the same as the F90B and peaks at 6000 rpm. The higher numerical gear ratio will allow the motor to run more prop pitch with acceptable hole-shot, in theory producing more speed at wide-open throttle. This ratio should also prove effective when paired with the extra blade area of a Yamaha Pontoon Performance prop. Yamaha propellers up to 14 inches in diameter are offered for the SHO 90, some featuring the Yamaha SDS (Shift Dampening System) hub. The little VMAX features a 35 amp charging system that makes 28 amps available at just 1,000 rpm to help manage the draw of electronics, audio and aerators. The SHO 90 is not compatible with a digital control but may be equipped with the Yamaha Multi-Function Tiller Handle (sold separately). The motor is offered with 20- and 25-inch shaft lengths. 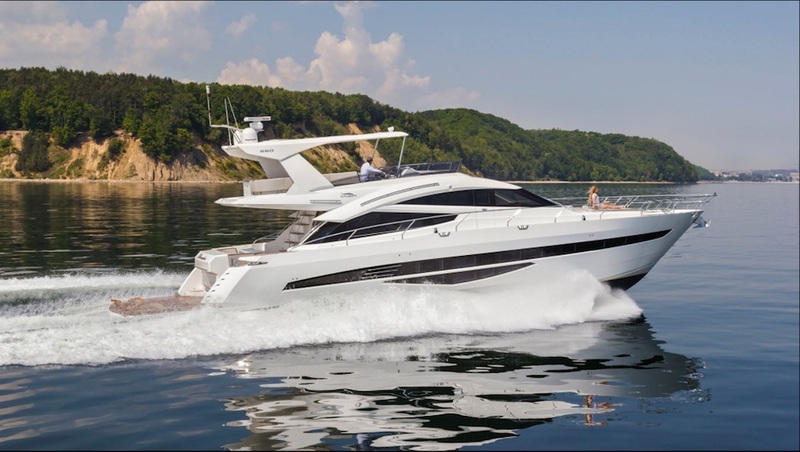 To let everyone know you’ve got extra performance on the transom the SHO 90 features graphics similar to those on the big V6 V MAX models. Yamaha White is the new color option for its flagship F300 and F350 models. 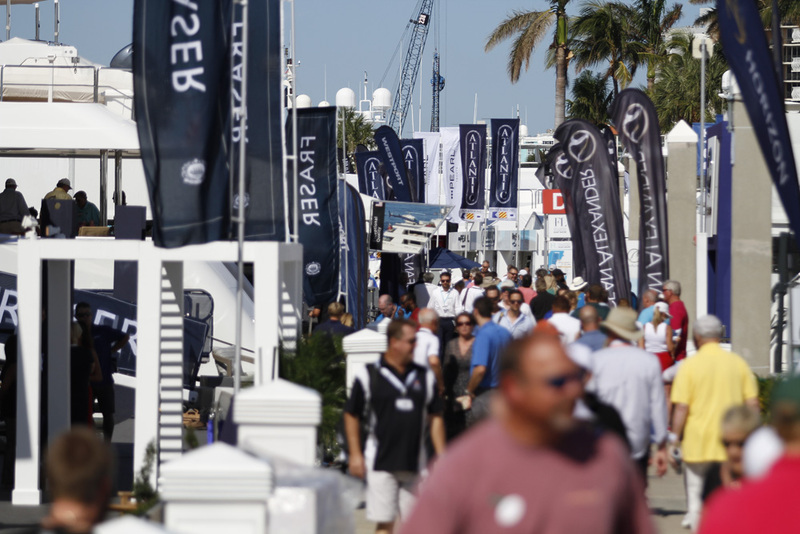 Yamaha says that more than 30 percent of new boat customers in the offshore segment want their outboards painted white. With those customers in mind, Yamaha is offering its flagship F300 and F350 models in a color it’s calling Yamaha White, a pearlescent white designed to withstand UV radiation in bright, tropical sunlight. Designed to complement all gelcoats, Yamaha White reduces consumer cost with the complexity associated with painting after manufacturing. Yamaha White outboards are available only as late stage customization (LSC) orders and they will be matched with the appropriate length gray-color gear cases and should be available in late April, according to Yamaha. 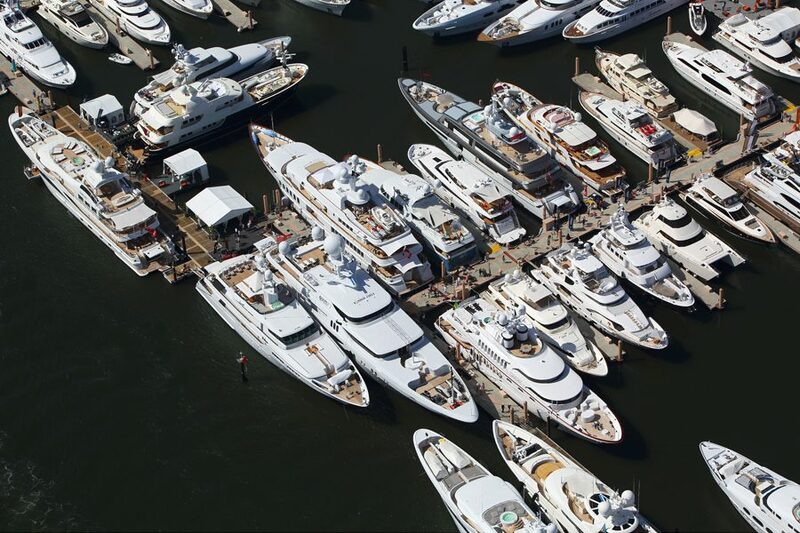 For more news out of Miami, read our 2018 Miami Boat Show's Performance Highlights.